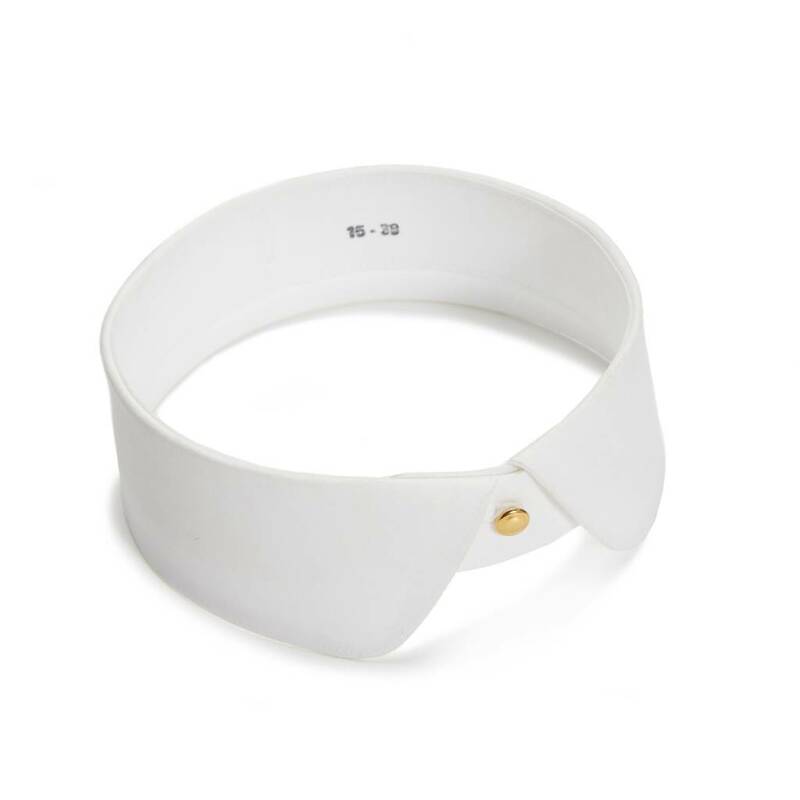 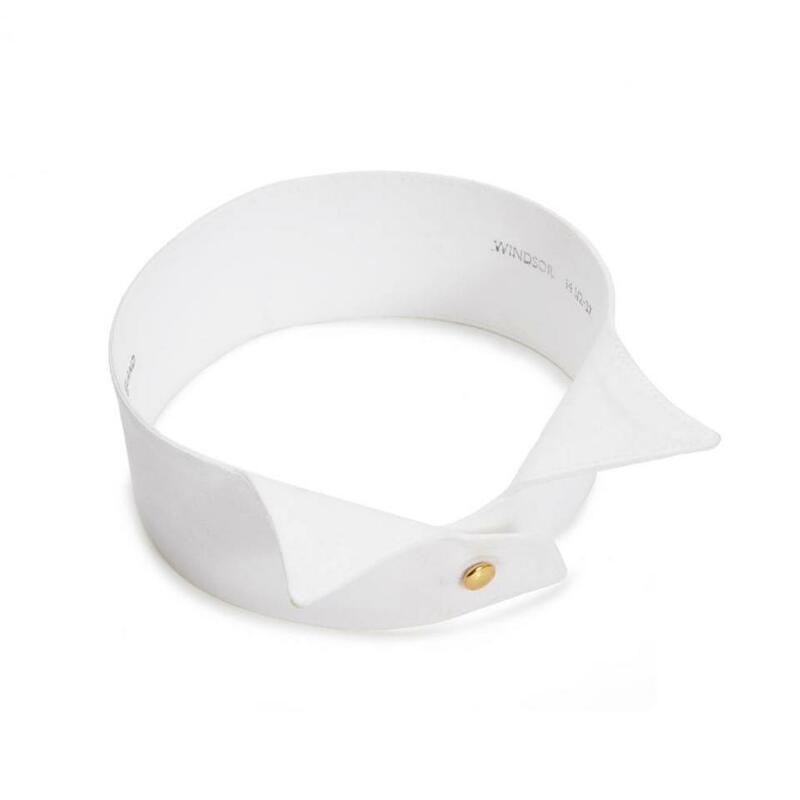 Although largely antiquated in use nowadays, starched, or detachable, collars are still worn with evening, morning, and ceremonial dress (and within the legal profession by barristers). 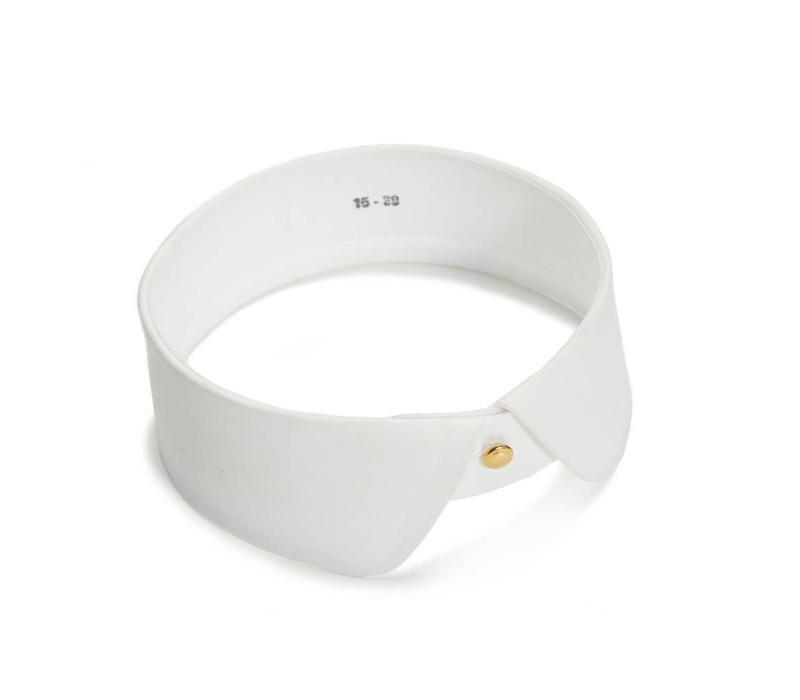 The apocryphal story goes that detachable collars were invented in the early 19th century in order for shirts to be washed less frequently, while the more easily soiled collars (and sometimes detachable cuffs) could be laundered separately. 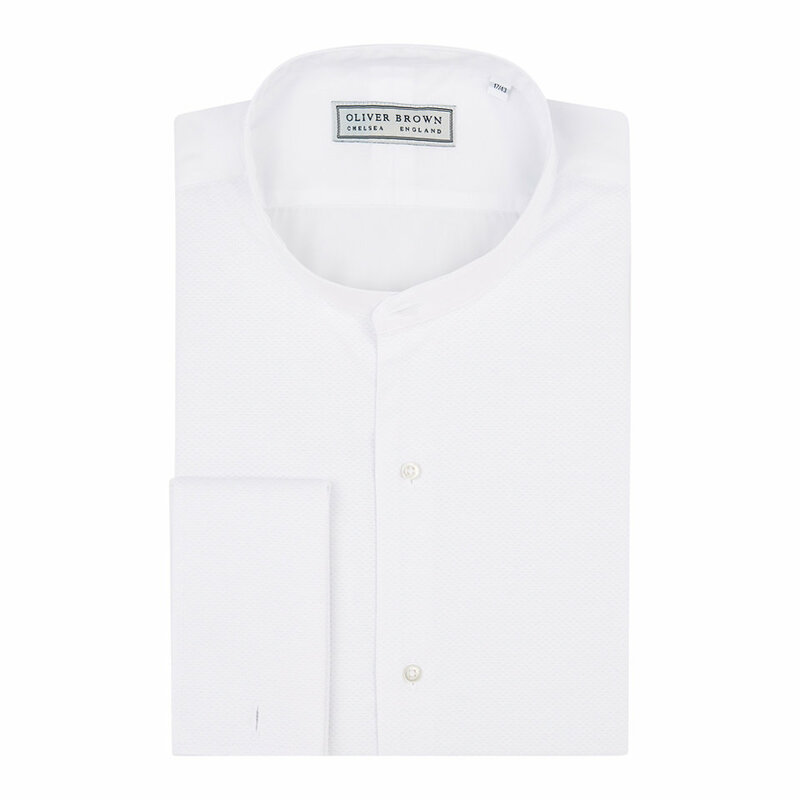 Later, heavy amounts of starch was added to give a clean, rigid, and elegant effect. When ordering collars, it is usual to add 1/2" to the neckband collar size, so a 15" shirt would require a 15 1/2" collar.